BENSENVILLE, Ill. (WLS) -- Charges are pending Saturday night for the driver police say is responsible in the hit-and-run death of an 86-year old suburban woman. About 7:30 a.m. Saturday, the gray, extended cab Ford pickup was making a right turn from the Dunkin' Donuts exit on the south side of the 1000-block of West Irving Park Road when it hit the woman walking across the sidewalk, according to Bensenville police. The truck kept going eastbound on Irving Park Road, police said. 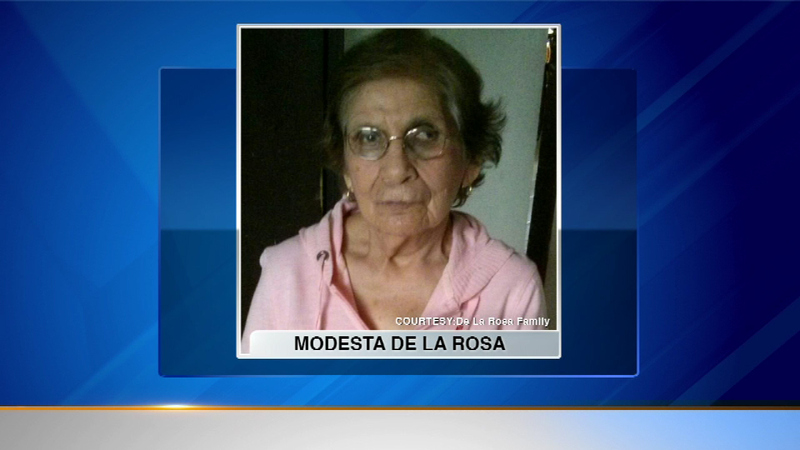 The woman, later identified as Modesta De La Rosa, was taken to Alexian Brothers Medical Center in Elk Grove Village, where she died at 8:08 a.m., according to the Cook County medical examiner's office. She lived on the block where she was killed. Using a description of the vehicle, Bensenville police say they located the suspect's pickup truck Saturday morning parked at the Dunkin' Donuts where the crash happened.